M57 is an example of the class of planetary nebulae known as bipolar nebulae, whose thick equatorial rings visibly extend the structure through its main axis of symmetry. It appears to be a prolate spheroid with strong concentrations of material along its equator. The nebula is 2,300 light-years from Earth. It has a visual magnitude of 8.8v and photographic magnitude of 9.7p. Very bad weather. Only 9 frames were useable. 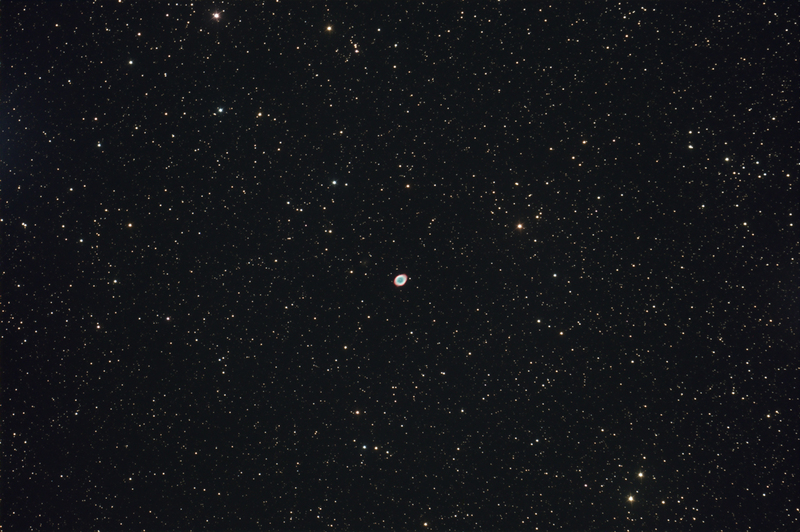 Anyhow, M57 is too small for this image scale.